Invite the BOB Squad! 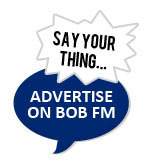 - BOB fm Home Counties - Music and news for Herts, Beds, Bucks, and beyond. Home > BOB's Jobs > Invite the BOB Squad! 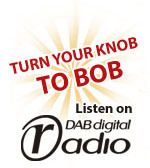 The BOB Squad are out and about in Herts, Beds, Bucks and Northants. Go and say "hi" or why not invite them to your event? We try to attend as many events as possible, in some cases there is a small charge, but not as much as you think! Fill in the form and let us know where we should be!